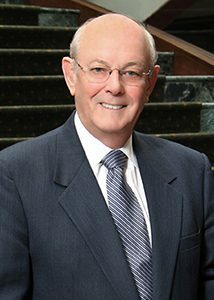 Mr. Elgin has more than 50 years of experience practicing law, principally in the area of trusts and estates. He assists clients in planning for after-death disposition of property and for incapacity during the client’s lifetime. His expertise assists both clients with large complicated estates and those clients with smaller, simpler estates and includes identifying opportunities to minimize estate and income taxes. Art has extensive experience in advising individual and corporate fiduciaries in the administration of estates and trusts and in representing them in litigation, if necessary. Art is a graduate of Princeton University (Bachelor of Science in Engineering, 1960) and The National Law Center at The George Washington University (J.D., 1966). He is a member of the District of Columbia and Suburban Maryland Estate Planning Councils and has been active in the Estate and Trust and Taxation Sections of the District of Columbia, Maryland and Montgomery County, Maryland Bar Associations. Art is a Rotarian and served as an officer in the Marine Corps from 1960 through 1963. Bar of the Supreme Court of the U.S.